Figure 1. 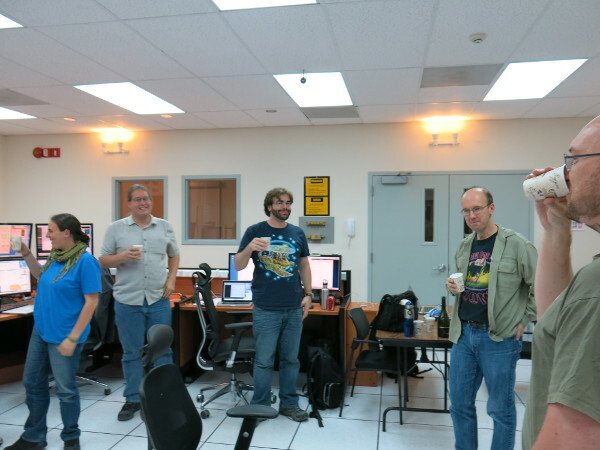 The GPI commissioning team at the Gemini South control room assembles for the first night of commissioning on November 11, 2013. 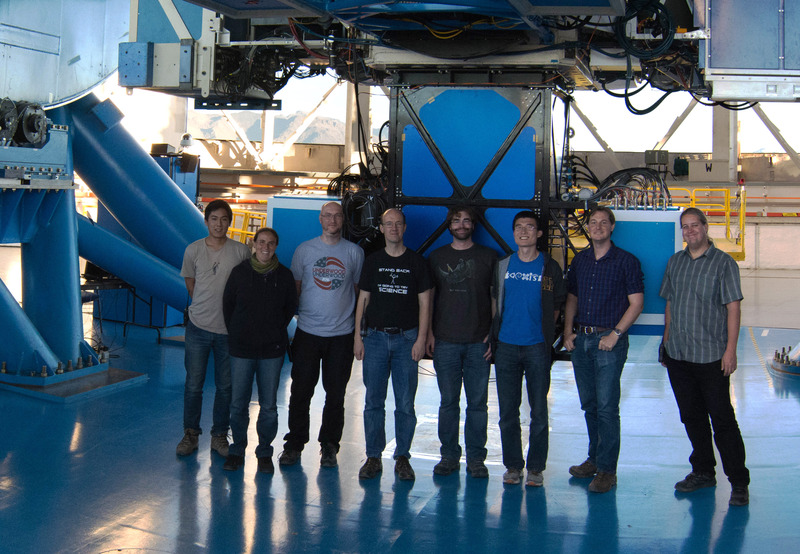 From left to right: Naru Sadakuni, Andrew Cardwell, Marshall Perrin, Stephen Goodsell, Fredrik Rantakyro, Bruce Macintosh, Jeff Chilcote, Dave Palmer, Dmitry Savransky, Sandrine Thomas, Les Saddlemyer, Jennifer Dunn, Ramon Galvez, Carlos Quiroz, Markus Hartung. 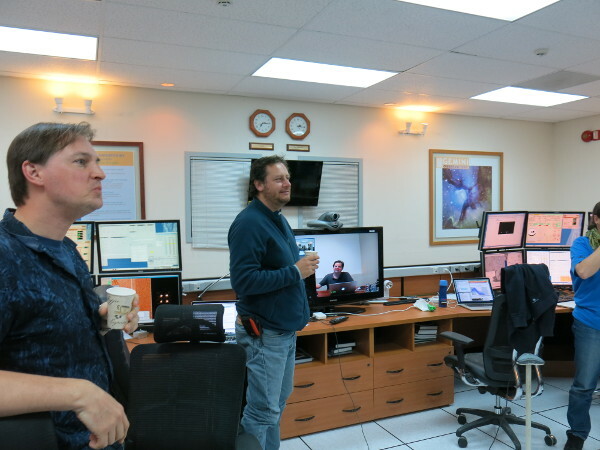 Not shown, working from the La Serena Base Facility: Kayla Hardie, Pascale Hibon, Andrew Serio, and Cristian Urrutia. Pascale, Eric, Dmitry, Bruce, and Andrew celebrating. Marshall, Ariel, and TV-Jeff enjoying the moment. The party this time around isn’t quite as packed. 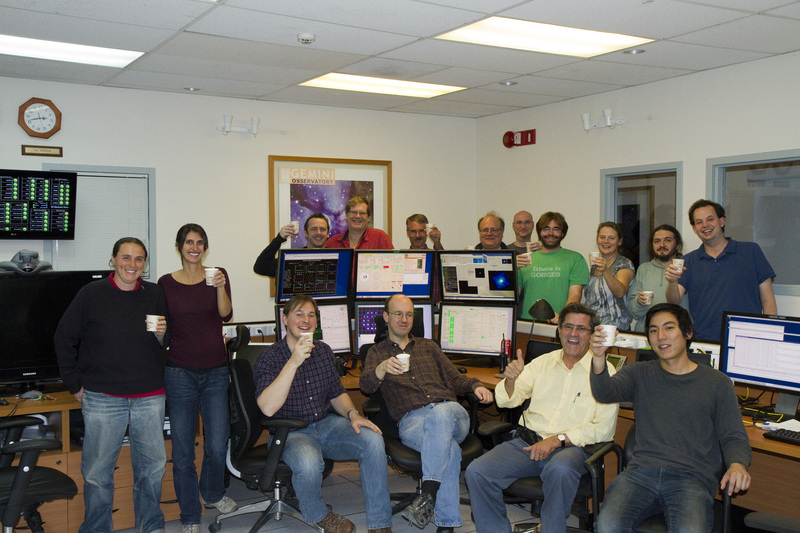 The observing crew is only half the size of our first light run. I think this shows we’ve made some significant strides in this last year. We’ve fixed a lot of problems and streamlined a lot of tasks so it doesn’t take as many people to observe with such a complicated instrument. However, arguably we have much more to be excited about. With GPI fully operational, we can now start discovering new worlds! Here’s to many more great years of GPI science!